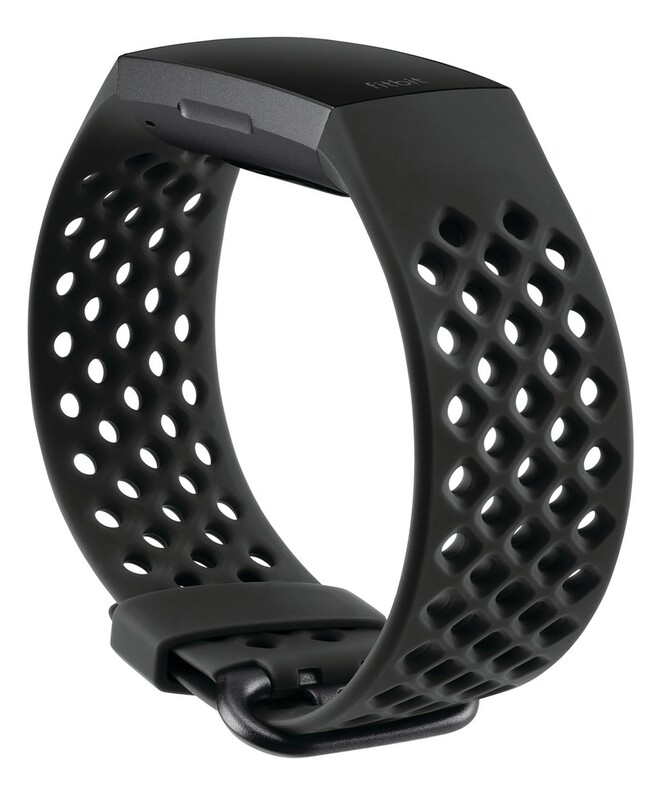 Supple and durable silicone forms this lightweight perforated black strap for your Fitbit Charge 3 smart watch. 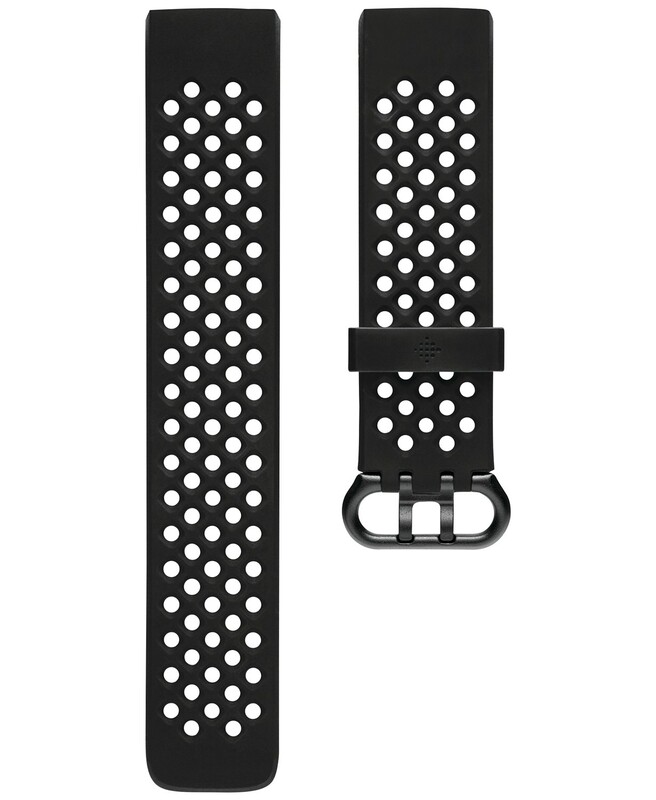 Perforated black silicone strap with buckle closure. Size small fits 5.5 - 7.1". 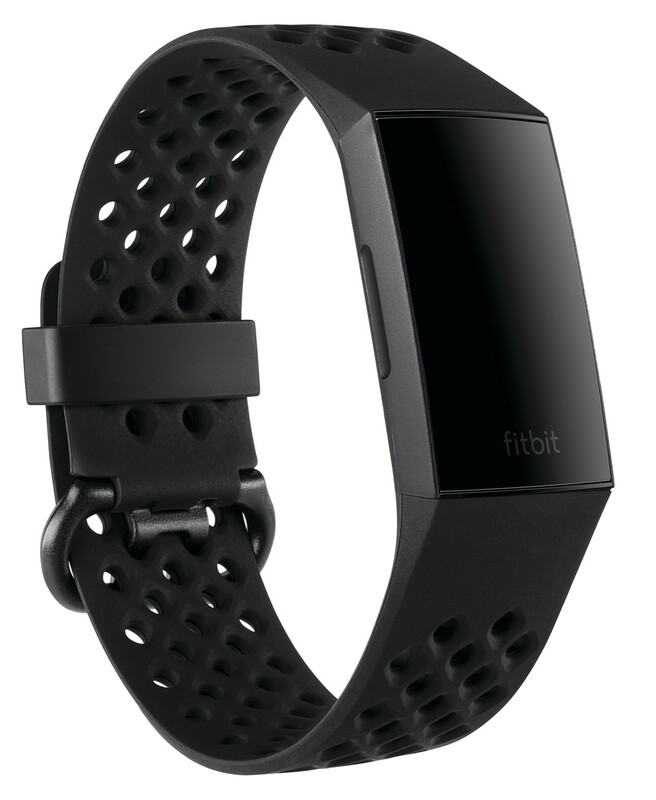 Size large fits 7.1 - 8.7".